Make-A-Wish Central and Northern Florida is proud to be hosting Handbags and Happy Hour, on Novemeber 1st, 2018 from 6-9PM at The River Club. ticket prices will be reduced to $65 if purchased before September 1st, after that they can be bought for $75. The event will feature a fashion show by local designer boutiques as well as the opportunity to bid on both new and vintage designer handbags. Enjoy cocktails and Hors d’oeuvres, and an exclusive sneak peak of our up coming events in 2019, all while helping to create life-changing wishes for children with critical illnesses. We can’t wait to see you there! Our goal is to raise $45,000 to grant the wishes of 5 local children. A wish is more than just a nice thing – a wish experience can be a game-changer for a child with a critical illness. Your sponsorship will help transform a child’s life by granting their most heartfelt wish. Meet Our Event Host, Letisha Beroela! Letisha Bereola anchors Action News Jax This Morning. 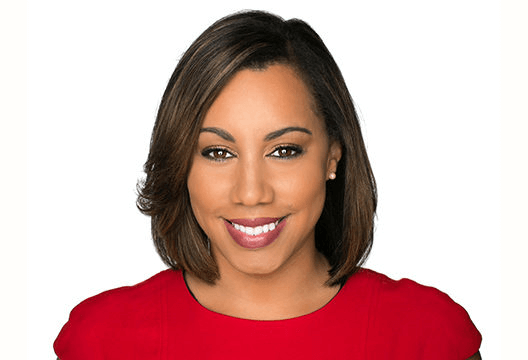 She joined CBS47/FOX30 Action News Jax in October 2014 as a reporter and was weekend evening anchor before joining the morning team. Before moving to Jacksonville, Letisha worked at WALA FOX10 News in Mobile, Alabama where she was an anchor and reporter for three years. She started her career as a reporter at WCTV in Tallahassee, Florida. During her time in Jacksonville, Letisha has been at the forefront of high-profile breaking news including the discovery of Kamiyah Mobley, the newborn stolen from a Jacksonville hospital and found 18 years later, Hurricane Matthew and Hurricane Irma and the Florida State University campus library shooting. In Mobile, Letisha extensively covered the impacts of a foul chemical smell and its link to a major gas company and the heartbreaking effects of synthetic marijuana in South Alabama. Letisha has had some incredible opportunities during her time at Action News Jax, including covering a local American Idol contestant in Los Angeles (#TeamTyanna) and rappelling down a downtown building — live — to help raise money for Boys Scout of America. In 2016, Letisha was named a Black Pages “Florida Top 20 under 40” for her work in Jacksonville and accomplishments, including becoming the first Florida A&M University broadcast journalism student to land a reporter position in a Top 60 market right out of college. Letisha was recognized in New York City at the 2017 Black Women in Media awards, where she was given the “Influencer” award. Letisha was born and raised in Columbus, Ohio and moved to small town Florida when she was a teenager. When she’s not chasing stories, she’s chasing her toddler Miles, reading books, hanging with her husband and trying out new recipes. We are so excited to have her come host Handbags and Happy Hour 2018! I wish… to meet a unicorn! Charlotte is a 6-year-old girl who adores swinging at the park with her friends, playing dress up, and most of all, loves unicorns. 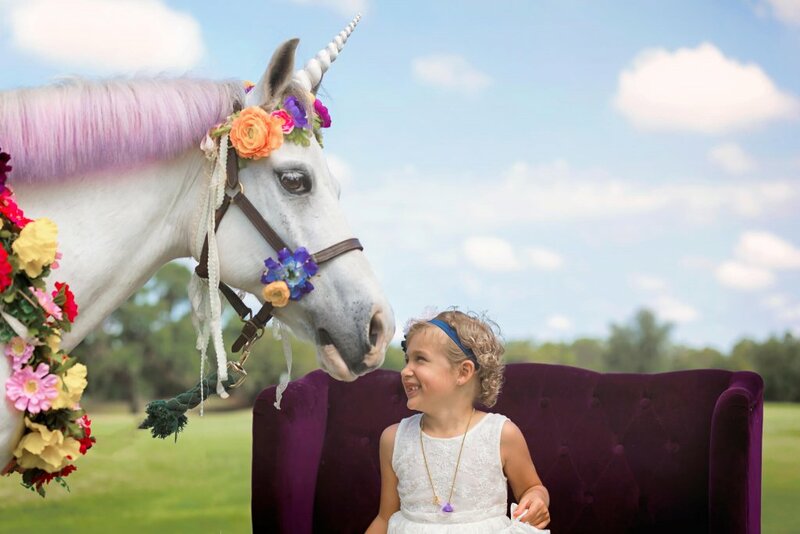 She says that unicorns are magical and she would love to ride one and tell it, “I love you!” Make-A-Wish knew the perfect magical unicorn who wanted to meet Charlotte, too! To begin her wish, Charlotte, alongside her mom and dad, arrived at the Ritz-Carlton Sarasota. That night, the family enjoyed a dinner with all of Charlotte’s favorite foods! The next morning, Charlotte became a professional cupcake decorator with Pastry Chef Amy and her team; completely decked out in her own purple chef’s uniform. Afterward, Charlotte and her mom Estela became princesses at the Ritz Carlton’s spa. And at dinner, the family met Cinderella – where she received a unicorn dress and headband for a very important excursion! The next day, Charlotte spent an unforgettable morning meeting a unicorn! She finally got her chance to ride the unicorn and feed him magical unicorn food. The smile on her face was priceless. 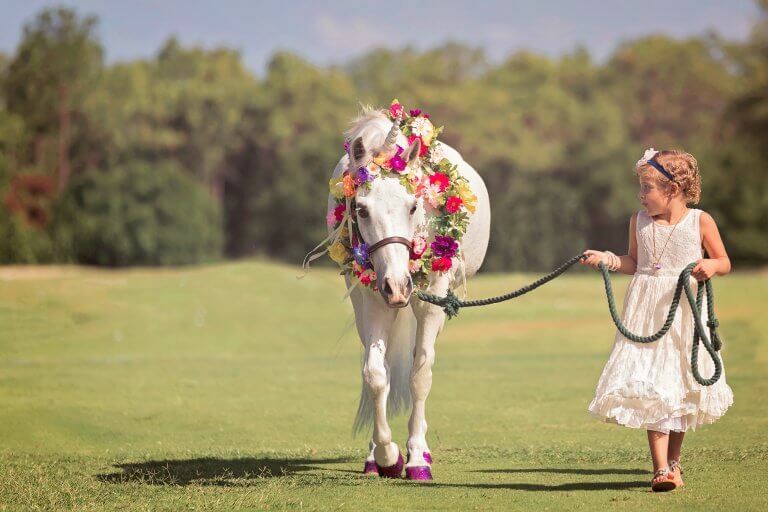 The unicorn and Charlotte were inseparable, matching in their flower headdresses! The fun continued with a trip to the Mote Marine Aquarium and a day at the beach. Charlotte and her family had a spectacular time and made memories that will last a lifetime! Until September 30th, get your Handbags and Happy Hour Early Bird Sale tickets! Tickets are discounted to $65.00.